We’re bringing you a super sweet (hint, hint) episode this week. 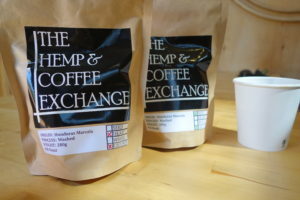 Before we jump into the tasty portion of this week’s podcast, we want to remind you to check out all the products we’ve tried and tested from our favorite affiliates (Amazon, Stick Mobility & The Hemp & Coffee Exchange) on our Shop page. Your shopping through these links actually supports the ATF podcast! Now that the business is taken care of, ON WITH THE SHOW! Nick had a rare two days off this past weekend, which is why he decided to share a few Stick Mobility moves and principles with Shannon. She is a big fan of using props (blocks, bolsters, straps, etc.) in yoga and wanted to try her hand in incorporating Stick Mobility’s stick. The results? You can listen for the full reaction, but in a nutshell, it’s clear that Stick Mobility has its origins in stick yoga, which our conversation with Stick Mobility co-founder Dennis Dunphy further explains, as Shannon fully realized that this specific stick design could be even more impactful than some of the traditional props (blocks, strap and bolster) to assist individuals in and out of certain poses. Stick mobility online training from ETTampa coming soon. Keep checking the @ettampa Instagram for updates. In other practices, inspired by a post that Shannon put out on her Twitter this week, Nick decided to delete his social media apps for an entire day (24-hrs) this weekend. Shannon deals a lot with social media at her ad agency job and has seen how it affects our perception of how others see us. She also believes it can create unattainable/unrealistic standards, especially in the fitness/health industry. Hell, there are even muscular-skeletal issues like Text Neck that are developing now primarily due to social media addiction. Follow Shannon’s recommendation – Lara Heimann – on Instagram to learn more about this condition and how to correct/prevent it. Nick wanted to see how taking a short social media vacation would affect him emotionally and physically. Both definitely want to investigate/discuss social media addiction in a future episode, especially the psychological and physical effects. If you know any health professionals that have dealt with this issue in their work, hit the Contact tab above and send us their contact info for a future episode. 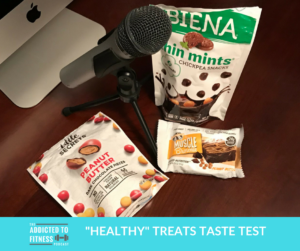 Nick and Shannon definitely take liberties with the term ‘healthy’ in this taste test. The three items they tested are definitely not ones you should regularly have if you’re trying to eat clean. 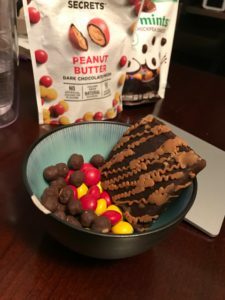 These treats market themselves as healthier alternatives to the less wholesome, highly-processed snack equivalents, and having them on occasion may satisfy any sweet cravings you have. Want the full reviews? 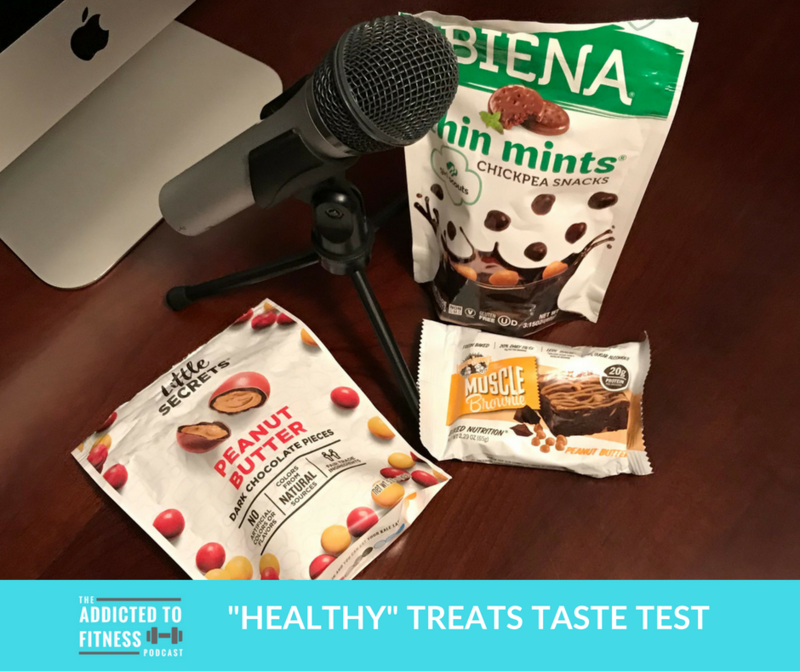 You’ll have to listen to the episode to find out what Nick and Shannon really thought of these products. Thanks for checking out this week’s episode. As always, please show us you liked it by sharing it with friends and leaving a rating and review in iTunes, Apple Podcasts or your preferred podcast app. Your review will be read on a future episode!